31-07-2016: The “Red Baron” was a German fighter pilot in World War I, who was famous because he painted his airplane bright red instead of the usual camouflage pattern. …and of course because he was a very good fighter pilot, who won almost all his aerial combats! 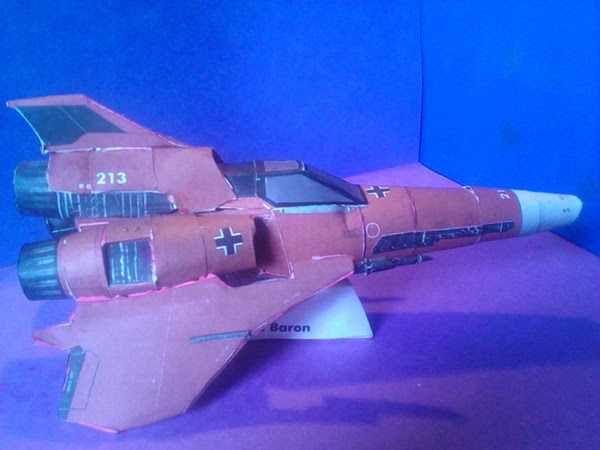 The original idea for the Battlestar Galactica Viper Mk.II‘s Red Baron paint scheme was by enc86, and blake7 and Revell Fan did a great job translating it to the papercraft templates, don’t you think? 25-06-2016: In “The Dukes of Hazzard”, there would always be a part where “them Duke boys” would escape sherriff rosco by jumping the General Lee over a ramp, high into the air! 16-05-2015: If you thought blake7 only made repaints, think again! So to try and prevent a lot “friendly fire” accidents during the D-Day invasion on June 6, 1944, Allied airplanes got three white and two black bands painted on their wings and fuselage. You can either get blake7’s repainted parts from the original Viper Mk.II post on my papercraft webpage here, or on the Papermodels.com or Zealot forums if you’re a member there. 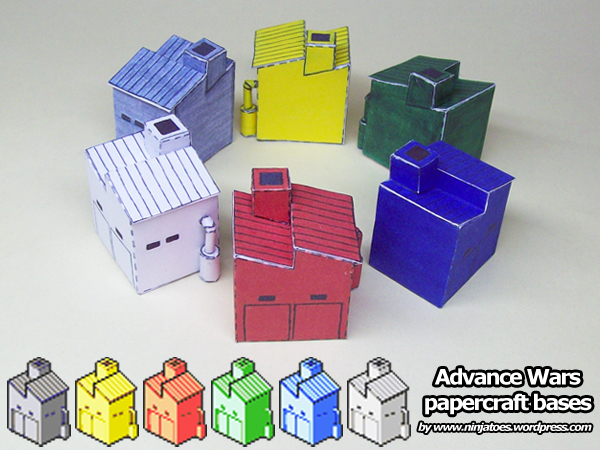 Thank you for repainting a Ninjatoes’ papercraft model!